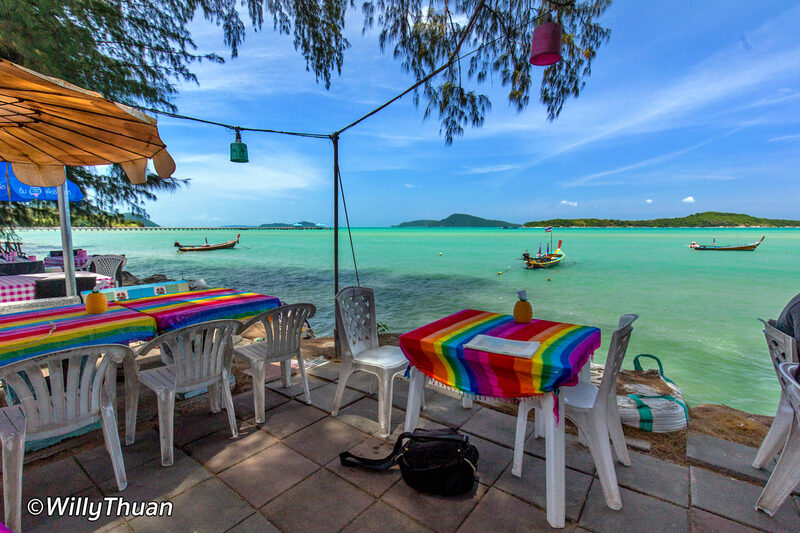 Aek Rawai Seafood Restaurant is one of the few local restaurant peppering the road side of Rawai beach. This small restaurant doesn’t any particular sign and it doesn’t attract a mass of hungry tourists, but this is where we love to go for a real seafood lunch or dinner. 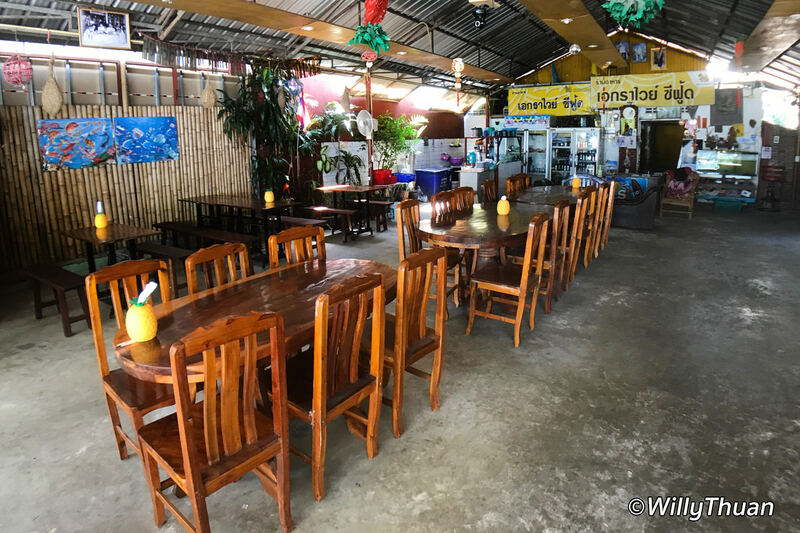 The setting might be unusual to us, but not unusual to Thai: kitchen is on one side of the road and the dining area on the other, which make that staff have to cross back and forth with trays of food! 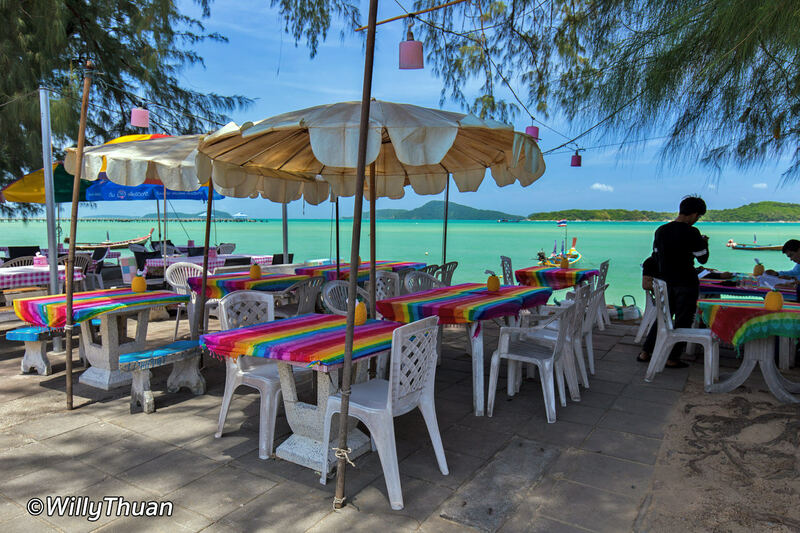 Aek Rawai Seafood Restaurant has a superb seaside setting, everything travelers do love about Phuket. Small plastic tables set on the road side or even eat on small carpets like locals do. 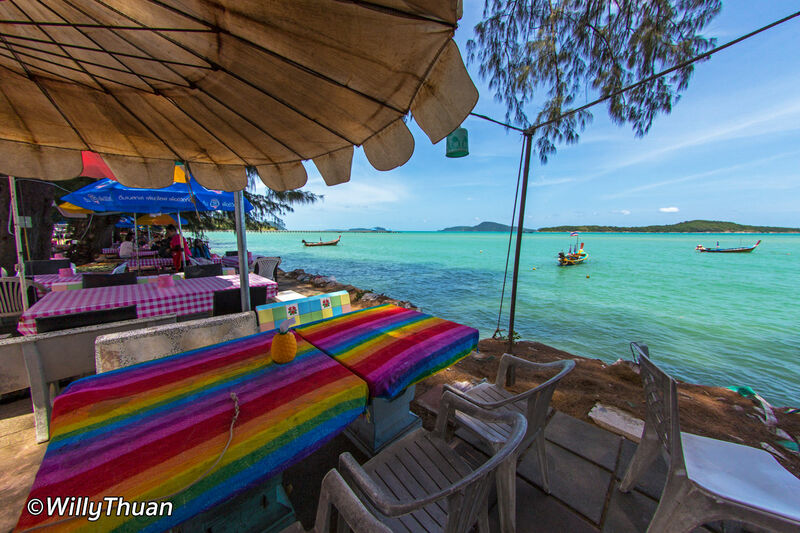 Surprisingly people love to cram themselves at the nearby crowded Rawai Seafood Market. 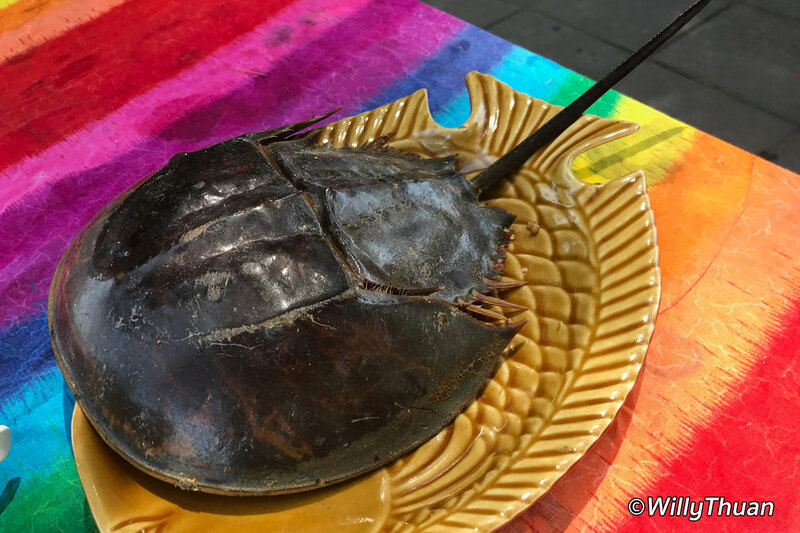 Don’t get me wrong, that seafood market can be fun as you buy your own fish on one side of the road and ask the restaurant on the other side to cook if for 100 baht per kilo. But that market has become such a tourist attraction with literally bus loads of tourists and obviously, rising prices. Meanwhile locals and expats peacefully sit by the ocean nearby with a cool breeze and real stunning views the islands nearby. 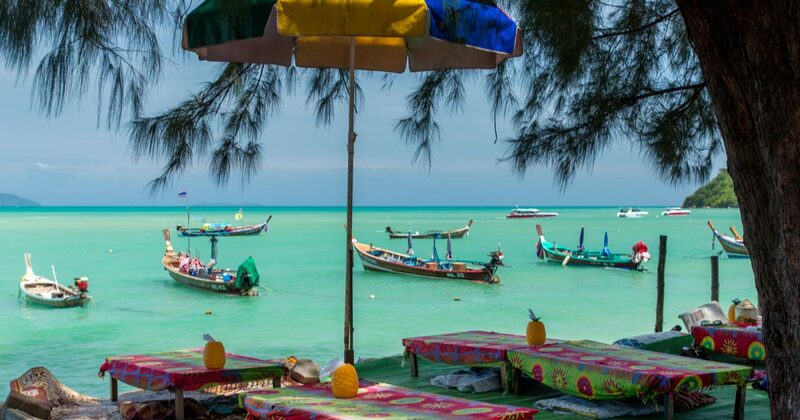 Here we can enjoy great seafood and the friendliness of locals. Sure it’s by the side of the road but traffic is not that busy… we can spend hours here chi chatting and relaxing on weekends. The menu is varied, the restaurant displays a small choice of fish, prawns and shells caught the same day. Yes it might be less impressive than the market but we always found what we like. Personally I do have a favorite but it’s a little unusual. 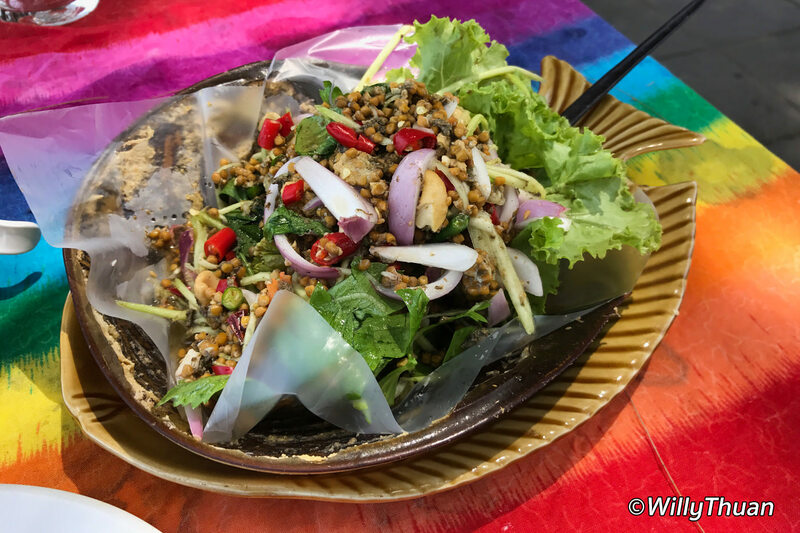 I guess I’ve been in Phuket so long I sometimes turn more Thai than Thais 😀 It’s called Yum Mang Da Talay, which is a ‘horse shoe crab egg with a spicy mango salad’. Just describing it makes me want to go back. 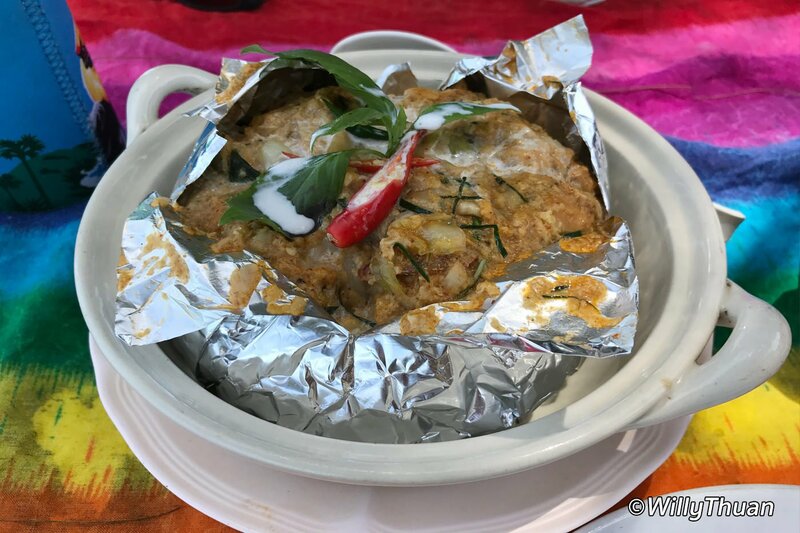 It’s unusual and surprising because we, farangs (foreigners), are not used to it but it is really unique and delicious. Try it one day! The seafood price depends on the weight as usual. Expect to pay between 400 – 480 baht for a delicious steamed sea bass in sour plum sauce or a star fried sweet and sour fish. Stir fried crab 30 baht and King prawns depending on size 1,200 baht which is the same as at the market nearby. While service s very friendly and casual, it can be quite slow but we never really worried as this is a place for us to unwind and relax after a week of hard work. As you can see there is a covered area on the other side of the road and it’s not fancy…this is what a local restaurant looks like. 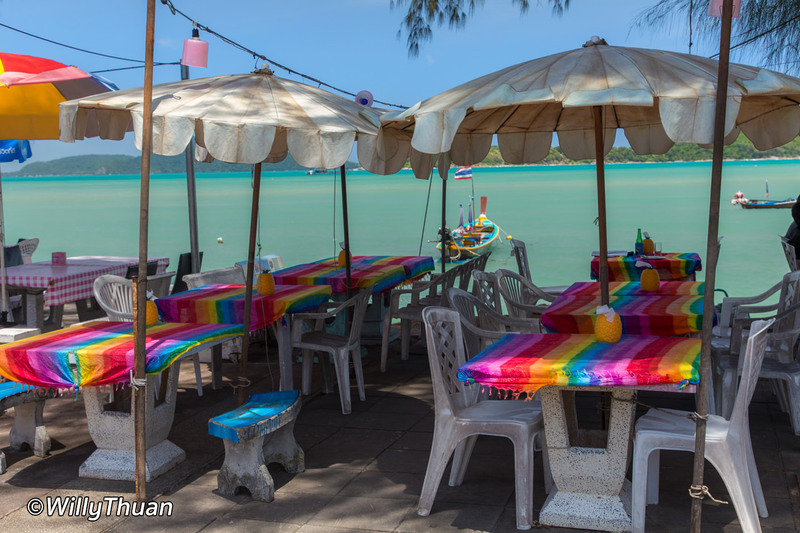 So here you have it… crowded Rawai Seafood Market with no view and loud tourists, or lazy lunch by the sea with some striking views. 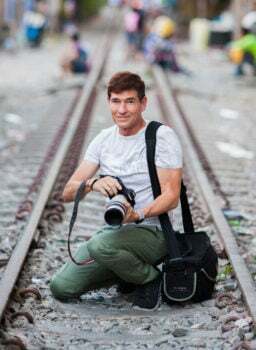 1st Time in Phuket ? 26 Things You Should See, Do, Eat, Know and Enjoy!